Logo design is really about creating you or your company’s brand, your image. This is what people will see when they look you up and it needs to tell them everything about what you do in a small image. I can guide you through the process of creating your logo! If you already have a logo and, just want to jazz up your website or are having trouble finding the right image or the image you want I can also create custom clip art. Logos and Clip Art are designed in collaboration with you after payment has cleared. You tell me what you would like to see in your artwork. If you aren’t sure what you want, I do have a questionnaire that can help me determine what is important to your brand and how to express that visually. If we’re doing a logo update or re-brand, I will want to know what you love and what you dislike about your current logo. This information helps me make the best possible changes that will help your company achieve your goal for the re-brand. I want you to have a unique logo that you will be proud to display. Let me help your Orange County based brand stand out! Want to know more? Would love to get started? 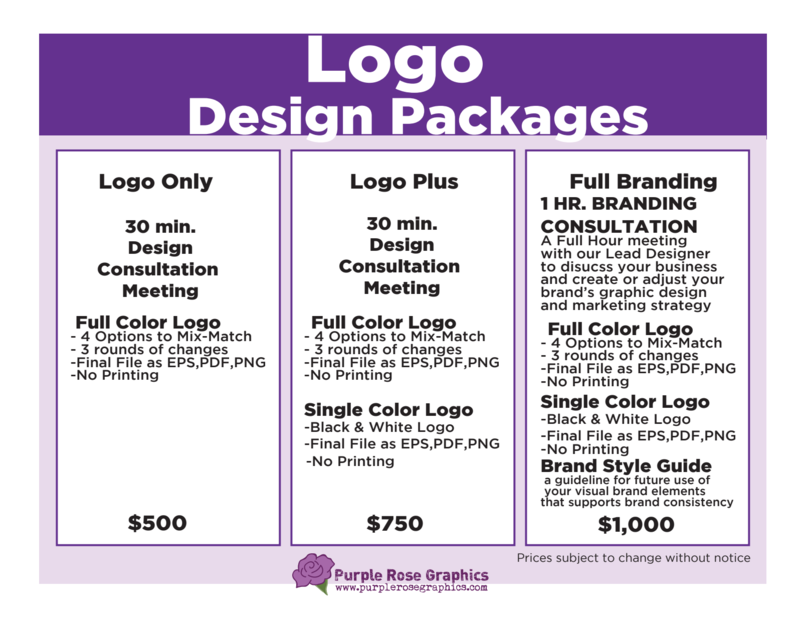 Contact Purple Rose Graphics Now!